It's been a minute or two since we've heard from UK artist Dotstar. Previously a funky house crooner, the 22-year-old has now embarked on his latest journey as an Afrobeat artist. Dotstar already plans on making a huge comeback this year with his forthcoming EP, ‘The Arcade’, but before that - he drops off the first official release - ‘Wanbi’. ‘Wanbi’ features Nigeria's hottest rapper out right now - Olamide, with production courtesy of Chopstix. Having previously performed at events such as Koko Concert UK and Funky Live at the Wembley Area, he has also supported international artists such as Fabolous and Tyga - an event that led the YMCMB artist to feature on a self-produced track of Dotstar's entitled ‘Tattoo’, which gained over a million views on YouTube. ‘Wanbi’ a head-bopping club banger is one of Dotstar's best songs yet. With Chopstix on the production and the YBNL CEO - Olamide delivering a fire verse, it's no secret why this song is a fan favourite. Dotstar who is now signed to AR records alongside Chip, Paigey Cakey, Wretch 32 and more to name a few - has been working on some new material with some of the biggest names in the Afrobeat scene including; Maleek Berry, Sinzu, Wizkid, Shank and R2bees. 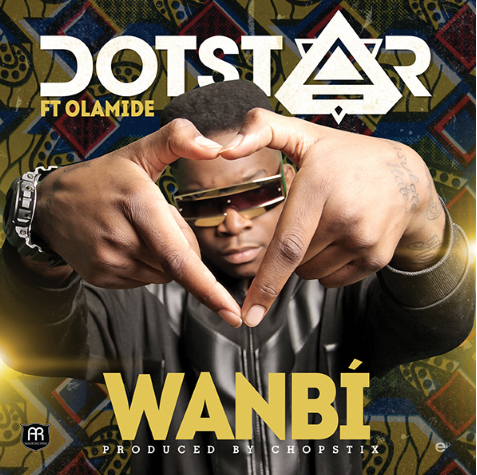 Hmm.. We can only be left wondering what's in store for Dotstar, until then - listen to ‘Wanbi’ below!